Learning outcome: Know why writing is important at university and what you can learn from this resource. Welcome to write@uni! Most of you will find yourselves at the beginning of a new chapter in your education. While you settle into life at university, you will most likely go through a range of personal, cultural and academic changes. For example, the writing expectations at university may be different and more challenging than what you’ve experienced before. To succeed in your studies, you will need to learn to approach your own writing with a clear insight into what you’re writing, who you’re writing for, and how you can shape your work to fit the writing conventions of your discipline. We believe that learning is done best when you are active, engaged and involved. Therefore, this resource has been created as a series of interactive learning modules to introduce you to five essential concepts for understanding writing at university. As you work through this resource, you will have the opportunity to listen to different students, graduates, and lecturers to find out how they overcame initial difficulties and became better writers. You can also follow the story of our comic characters, Hua, Markus and Mele, to see how these three first-year students approach their first writing assignment. We hope you enjoy your journey at The University of Auckland and trust that this resource will serve as a great introduction to writing at university. 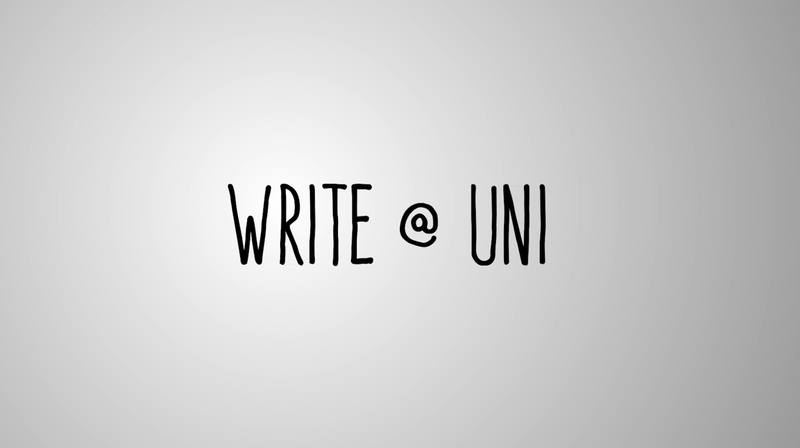 Write@uni is a series of five online modules created to assist you in understanding what writing at university involves and what expectations you will most likely encounter as you progress through your studies. You'll have the opportunity to learn about the university writing culture and how critical thinking and reading inform the process of writing. You can also follow the story of our three comic characters, Hua, Markus and Mele, as they face the challenge of writing their first university assignment. Working through this resource early on will help you make sense of new learning demands and become aware of the skills you need to become a more skilled writer. You can explore write@uni sequentially, from Module 1 through to Module 5, or you can visit the following page to decide where to start.